If you weren’t well acquainted with the salad aisle before your weight loss journey began, odds are that you can now navigate it with your eyes closed while hopping on one leg and still come out with a cart full of every shade of green. No matter what kind of diet you’re on, one of the major components of every successful weight loss program is eating a good share of leafy green vegetables every day. This is because dark leafy greens are nutritional gold mines, packing some of the highest ratios of nutrients into the lowest number of net calories. Some experts even go so far as to label them “negative calorie foods,” which implies that you can lose weight just by eating them because your body burns more calories digesting greens than the greens themselves contain! Add to this the fact that dark leafy greens are loaded with fat-blasting fiber that promotes appetite control, healthy digestion and cleansing, and you’ve got the perfect BFF for every Weight Loss Hopeful looking to purge pounds, trim up, boost energy levels and get healthy. But let’s face it – salad three times a day every day starts to get boring. And as the days start to get colder outside, raw greens don’t always hit the spot when you start to naturally crave more warming and comforting foods. Moreover, certain greens, like collard greens and spinach, actually become more healthful and easier to digest when lightly steamed or blanched. Technically, you can think of pesto as just pureed salad (although you probably wouldn’t want to). However, the power of puree is that it kicks the zesty flavor rating of pesto up about a hundred notches. Pestos are also incredibly appealing because of their endlessly versatile – you can use them as dips, dressings, sauces or marinades in tons of different dishes. Suddenly, you’ll find that greens go with just about everything. Place all ingredients in a powerful food processor and pulse until smooth. Steaming is one of the best cooking methods for vegetables, as it helps to maximize their taste and color while retaining most of their nutrients that are otherwise lost through other cooking methods. This is especially important when it comes to greens, which contain several fragile raw nutrients that are vulnerable to heat and easily lost when cooked. Fill the bottom of a steamer or pot with water and bring it to a boil. Place the onions in the steamer basket, and place the chard leaves on top. Once the water starts to boil, place the steamer basket on top and cover. Steam for about 5 minutes. While the greens are steaming, combine the olive oil, lemon juice, garlic and seasonings in a bowl. Transfer the hot onions and greens into a large bowl, pour in the dressing and massage the dressing into the steamed greens and onions with clean hands. Serve warm. 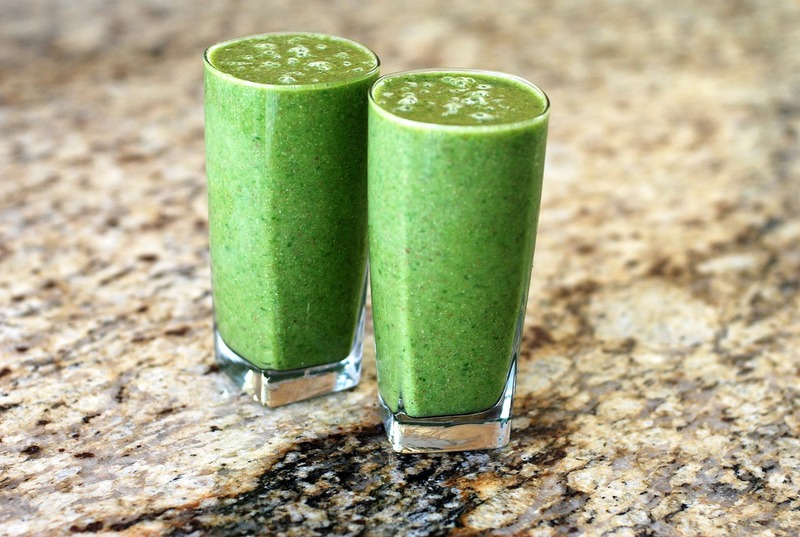 If you’re tired of eating your greens, than try drinking them instead. This is a great option for people who want to eat greens but prefer to mask their flavor, combining them with an endless variety of other healthy, delicious and nutritious foods that help to fill you up, energize you and burn fat. 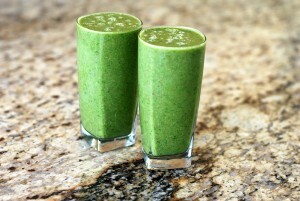 Combine all ingredients in a powerful blender or food processor and blend until smooth and creamy. If you prefer it thinner, add more milk. Using light cooking methods on tougher greens helps to make them more easily digestible without killing all of their healthful nutrients. 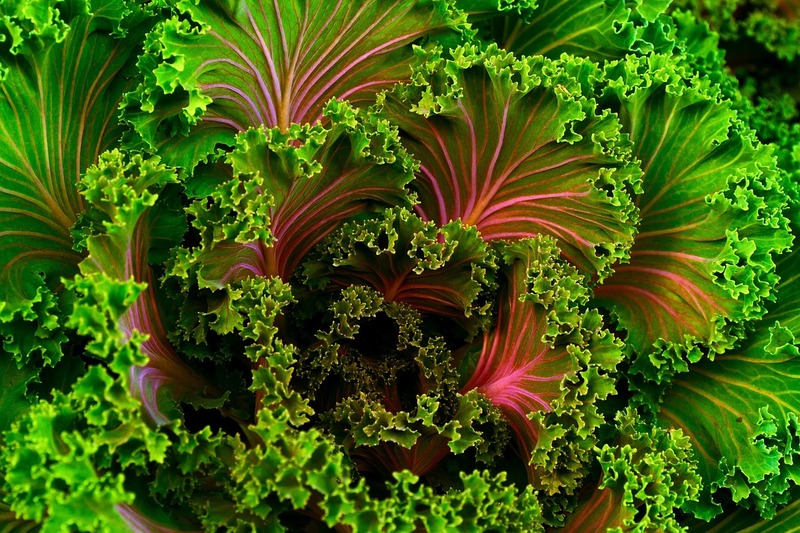 This method also allows you to integrate more dark leafy greens into your main dishes and entrees. Heat oil in a sauce pan and sautee the brown rice for a few moments. Then pour in the vegetable broth, lightly salt the water and stir once. Bring to a boil, then reduce to a simmer, covering with a lid. Meanwhile, in a skillet, heat some oil and sautee the onions for about 5 minutes. Add in the garlic and carrots and sautee for another 2 minutes. Follow cooking directions on the rice package (cooking times will vary according to different rice types and brands). When 10 minutes of cooking time remain, add the collard greens into the rice pot, pressing the greens to submerge them under the water. When about 5 minutes remain, add in the onions, garlic, carrots and seasonings. Once all the water has boiled off and the rice has finished cooking, remove the rice pot from the burner and leave the rice to rest, with the lid on, for five more minutes. Then remove the lid, and with a fork, fluff up the rice and toss to combine with the vegetables. Serve on plate topped with strips of cooked chicken breast and a lemon wedge. Green soup is a great way to warm your bones and get a serving of greens in the colder seasons. You’ll start thinking of greens as the ultimate comfort food when you cuddle up in your favorite arm chair with a steaming mug of this hot and hearty green spinach soup. Melt butter in a sauce pan over medium heat, careful not to let it burn. Add in onions, garlic, rosemary, salt and pepper, reduce to medium-low heat, and cook for 5 minutes, stirring occasionally. Add in potatoes and continue cooking and stirring for 3 more minutes. Pour in the broth, bring to a simmer over medium heat and cook until the potatoes are tender, about 15 minutes. Stir in the greens and continue simmering the soup until the greens are tender, about 10 more minutes. Then turn the heat off and puree the soup with a hand immersion blender. Serve garnished with nutmeg for added flavor. That’s right – CHIPS! Chips that are low in fat, cholesterol, acrylamides and hydrogenated oils while high in flavor and fun. 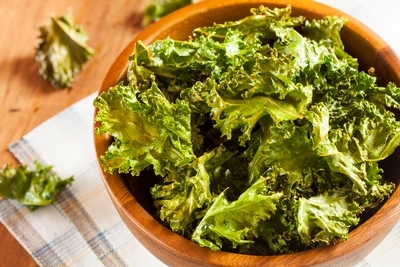 While this isn’t the best way to maximize the nutritional benefit of your greens, it’s a fun treat to give yourself after a day of good healthy eating behavior. Optional toppings: garlic powder, onion powder, chili powder, cayenne pepper, cracked black pepper, smoked paprika, nutritional yeast, parmesan, etc. Preheat the oven to 300 F. Line 2 baking sheets with parchment paper. Remove the stems and ribs from the greens and tear the leaves into rough 2 to 3 inch pieces. Wash the leaves and pat until they are very dry, removing all excess water. Distribute the leaves on the baking sheets in a single layer, and drizzle over with olive oil. Rub the oil unto each individual leaf to make sure each side is lightly coated. Sprinkle over with sea salt and seasonings. Bake for 10 minutes, then remove the sheets from the oven, turn each chip over, and bake approximately 10 more minutes, until the chips are crisp. Remove from the oven and allow them to cool before eating.